BS: The Cornhuskers suffered 3 losses in their first year as a member of the Big 10. How would you rate this season overall for Nebraska? Rich Kaipust: What maybe seemed solid on the surface at 9-3 was a little disconcerting to Husker fans because of the nature of the three losses. The games at Wisconsin (48-17) and Michigan (45-17) were blowouts, and the loss to Northwestern (28-25) was at home against an unranked team. Nebraska still seems to have one of those clunkers a season like the Northwestern game despite some of Bo Pelini's success. The comeback against Ohio State was huge, and maybe even a season-saver, and the shutdown effort against Michigan State was probably about as well as Nebraska played. Personally, I thought before the season that this was a team that could go anywhere between 8-4 and 10-2, so the final mark seemed about right. BS: The offense struggles to pass, but QB Taylor Martinez and RB Rex Burkhead make the rushing attack very potent. Please comment on Martinez's play and who are the other key players on this side of the ball? Rich Kaipust: Nebraska tried to become more of a grind-it-out team than a big-play offense, and part of that led to fewer long runs by Martinez in his sophomore season. I thought he improved as a game-manager and decision-maker, and some of that helped him avoid many of the hits that he took last season and kept him healthy along the way. Still needs to improve throwing the football and maybe some help with his mechanics, but he did have a nice four- or five-game stretch in the middle of the season where his accuracy was better than his season-ending percentage (55.9). Burkhead was a workhorse with 21.8 carries a game and 1,268 rushing yards, and you can't help but wonder where this offense would have been without him. BS: The defense was not as good as it has been in the past years. What struggles have they had and who are the important players? Rich Kaipust:: Those who thought NU wouldn't miss a beat from 2010 maybe underestimated the impact of going forward without NFL draft picks Prince Amukamara, Eric Hagg and DeJon Gomes. Those three losses in the secondary affected the pass defense, and Nebraska never really generated the pass rush up front that it needed. It's also important to note, though, that NU played its first three games without cornerback Alfonzo Dennard and its last six without defensive tackle Jared Crick, both guys who were preseason All-America candidates. Senior linebacker Lavonte David carried the defense for a second straight season -- and was a Butkus Award finalist -- while junior defensive tackle Baker Steinkuhler really emerged as a steady force on the line. Rich Kaipust: : I'd be among a long list of people who thought junior Kyler Reed would have a huge season, but he finished with just 15 receptions and one touchdown after having 22 catches and eight TDs as a sophomore. But definitely somebody who could have a big game if Nebraska can find the right matchups or if South Carolina loses track of him a few times. Thanks a lot to Rich Kaipust. Check his work out at www.omaha.com and follow @RKaipustOWH . Darryl Slater, of The Post and Courier in Charleston, SC, who covers the Gamecocks, was nice enough to answer some questions for us. BS: South Carolina won 10 games this year for only the second time in school history, but were not able to win the SEC East as they did last year. How would you assess this year's season compared to expectations and last year's season? Darryl Slater: Given what the Gamecocks had coming back, many people expected them to win the SEC East for the second straight year. But after the departure of quarterback Stephen Garcia and season-ending injuries to left tackle Kyle Nunn and tailback Marcus Lattimore, the 10-win season looks as impressive as – if not more impressive than – last year’s 9-5 record and 5-3 SEC mark. Remember, this USC team went 6-2 in the SEC – the first time the Gamecocks have ever won six games in the SEC. It’s hard to compare the two seasons, because obviously, Steve Spurrier wanted to get back to the SEC championship game. But if you had told him at the beginning of the year that USC would go 10-2, 6-2 in the SEC and beat Clemson by three touchdowns, he would have taken that for sure. Now, the Gamecocks will go for win No. 11 (for the first time ever) in their bowl game. For some schools, playing in a non-BCS bowl game isn’t a big deal. But USC is just 4-12 all time in bowls and 1-4 under coach Steve Spurrier, so a win in whatever second-tier bowl the Gamecocks play in would be a big deal, and would almost certainly put 2011 ahead of 2010 in USC history, as the Gamecocks lost the Chick-fil-A Bowl last season to Florida State. BS: Do you believe that this is just a temporary era of success for the Gamecocks, or do you think Steve Spurier has built a program that can constistently compete and win SEC East titles and stay in the top 10-15 in the country? Darryl Slater: That remains to be seen. But there is certainly a good recruiting base in the talent-rich state of South Carolina. If the Gamecocks can keep getting the best in-state recruits, they will keep winning. Just look at the in-state recruits they have landed in recent years: wide receiver Alshon Jeffery, Lattimore, defensive end Devin Taylor, strong safety DeVonte Holloman, cornerback Stephon Gilmore, Nunn, defensive end Jadeveon Clowney and defensive tackle Kelcy Quarles – all significant contributors. It’s not like USC has to go out of state to get the foundation of its recruiting classes. In-state recruits have noticed the success of this program in recent years – USC had never had back-to-back nine-win seasons before 2010 and 2011 – so you have to think that will build on itself to some degree. Whether that means staying in the top 15, or just being a contender in the SEC East and being ranked in the 20s, we’ll just to wait and see. But it’s pretty clear at this point that the days of going 0-11, as USC did in Lou Holtz’s first year, 1999, are well in the rearview mirror for the Gamecocks. BS: Throughout different points of the year, the offense has lost Quarterback Stephen Garcia and star Running Back Marcus Lattimore. How has the offense changed since the arrival of Connor Shaw and again since the loss of Lattimore? Darryl Slater: Shaw is still getting comfortable with standing in the pocket and passing. Sometimes, he takes off too early when pressure arrives. But he is very quick on his feet, and that skill has been an asset for the Gamecocks, as they have used a lot of read option plays with Shaw. Like most young, athletic quarterbacks, he is still learning how to be a complete quarterback. In the meantime, he hasn’t made many “stupid” decisions in terms of throwing the ball, Spurrier said. Spurrier would ideally like to throw the ball more. But his offensive line wasn’t great in pass protection for most of the year (a byproduct of Nunn’s absence) and Shaw was still getting comfortable with standing in there. Plus, defenses played a lot of zone coverage to take Jeffery out of games. When Lattimore went down, many USC fans worried the Gamecocks would lose their reliable rushing game, which they leaned on earlier this season when Garcia struggled. But true freshman Brandon Wilds took over for Lattimore and, along with Shaw’s running ability, helped the offense remain functional, though it certainly wasn’t as prolific as it would’ve been with Lattimore. BS: The defense has been suffocating, particularly in the second half of the season. What makes that group successful? Darryl Slater: USC won most of its games with defense this season, though the offense played probably its best game of the year in the Clemson win. USC’s front four is just so effective, and you saw that in the Clemson game, as the Gamecocks got consistent pressure on Tajh Boyd. Remember, Clowney doesn’t even start, and he had five forced fumbles this year. Between Clowney, Taylor and Melvin Ingram, USC has one of the best groups of defensive ends in college football. USC was tremendous in red zone defense during the final nine games of the season, allowing just 10 touchdowns in 27 red zone trips by its opponents. Defensive coordinator Ellis Johnson attributed this to pressuring the quarterback more in the red zone and letting his players play more man coverage in this area of the field. They certainly justified that trust. In addition to the front four, USC has a shutdown cornerback in Gilmore and one of the SEC’s most underrated players in spur linebacker Antonio Allen, who is quick enough to cover and physical enough to make tackles against the run. 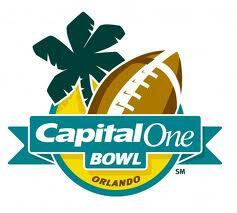 BS: If you could pick any player to have a breakout performance in the bowl game, who would it be? Darryl Slater: A breakout performance in the bowl game? Not really sure if there’s anybody on USC that would break out at this point who hasn’t already done so. I’ll just say Shaw. People around the country will get a chance to watch how far he has come.